Let us help you understand your options and make the decision that is right for you. If you are struggling with debt, being harassed by creditors, facing foreclosure or having your wages garnished, the time to act is now. Talk to an experienced bankruptcy attorney in Grand Rapids to get your questions answered and know your rights. You do have options and bankruptcy can help you get the fresh start you deserve so you can begin to rebuild your credit and live your life without the crushing burden of debt. At the law firm of LEMMEN & LEMMEN PLC, our lawyers handle consumer bankruptcies throughout West Michigan, from our offices in Coopersville and Grand Rapids. Tired of harassment, and threats of collection or foreclosure? By law, filing for bankruptcy will immediately put a stop to creditor harassment and threats of wage garnishment or repossession. Most people who end up filing bankruptcy, didn't start out planning to file bankruptcy. In general, most of our clients who've filed bankruptcy in Grand Rapids or other West Michigan community, are hard working people who fell on hard times unexpectedly. Many people see bankruptcy as an admission of defeat rather than the grace to start over. As a result, people struggling under the stress of debt often wait way too long before seeking help from a bankruptcy attorney. Millions of Americans file bankruptcy every year, so you are not alone in considering bankruptcy. Clients often worry about how bankruptcy will affect their credit score. The truth is that if you are seeking bankruptcy, your credit is most likely already severely damaged. After filing, bankruptcy clients often obtain auto and home loans within a few years of receiving their bankruptcy discharge. Without the help of a bankruptcy, you could spend decades trying to rebuild your credit score. The practical benefits of filing a bankruptcy usually outweigh the affect a bankruptcy may have on your credit, if any. Many people file for bankruptcy because they cannot escape credit card debt. The law allows credit card companies to charge interest in excess of 20%. If you, as an individual, tried to loan money at this same rate charged by many credit card companies, a Michigan court would call such interest "usurious" and not allow you to collect the interest. Usury laws protect people from entering into bad deals where they will not be able to keep their end of the bargain. Practically speaking, when a credit card company charges such high rates of interest, paying off the debt without a bankruptcy can be almost impossible for many people. No matter what reason you are in debt, there is no reason to feel ashamed. You are not alone. At our firm, we have helped numerous clients through the bankruptcy process. As if being in debt was not frustrating enough, now you have creditors calling you all the time making threats and demanding payment. We understand that this can be both frightening and infuriating at the same time. We can obtain immediate relief for you by filing bankruptcy. Once you file, the bankruptcy court prevents creditors from taking any further action against you, including making harassing phone calls. If creditors continue to bother you after our team files bankruptcy for you, we will hold them accountable in court and ensure that they are punished for their actions. At the law firm of LEMMEN & LEMMEN PLC, we provide dedicated and experienced advocacy for those individuals who are struggling to keep their home, their car and other important assets. With more than 50 years of combined experience helping people with these same issues, you can rely on us to have the knowledge to lay out all of your bankruptcy and non-bankruptcy options. We have the answers to your important questions about repossession and foreclosure in Michigan, so you can have the best chance of achieving your goals. Is Bankruptcy the Best Option to Stop Foreclosure in Michigan? Our attorneys have an extensive understanding of the Bankruptcy Code in Michigan and have helped numerous residents stop foreclosure in Grand Rapids and the surrounding communities. We also have substantial knowledge regarding the non-bankruptcy options that are available, such as loan modification. By analyzing your unique situation and discussing your ultimate goals, we may be help you determine a plan of action where you can keep your home and avoid bankruptcy. If non-bankruptcy options are not perfect for your situation, we will be upfront and honest with you. You can rely on us to explain all of the bankruptcy choices you have, such as Chapter 7 and Chapter 13, which can allow you to restructure your payments and retain possession of your house. If you are behind on your house payments, or your mortgage company has begun the foreclosure process, timing is urgent. The sooner you contact us, the more likely we will be able to help you keep your home. Even if you plan to walk away from your home, in most cases bankruptcy is a much better option than foreclosure. Request a free consultation with one of our bankruptcy attorneys in Grand Rapids or Coopersville. Filing for bankruptcy grants you the power of the Automatic Stay. When you file bankruptcy, the court issues an order called the "Automatic Stay". This court order immediately stops all actions by creditors, including repossession or foreclosure. After filing for bankruptcy in Michigan, creditors cannot repossess your vehicle or any other of your assets without being punished severely by the court system. Contact LEMMEN & LEMMEN PLC online or call us at (616) 837-6221 to schedule a free consultation. We will answer all of your questions and help you take a step forward to improve your financial life. Most consumers prefer to file Chapter 7 Bankruptcy. The bankruptcy laws allow most people who file Chapter 7 to keep their property, including their home and vehicle. However, if you have too much income to qualify for Chapter 7 or are seeking to save your home from foreclosure, Chapter 13 may be the better choice. Chapter 13 consists of a three-to five-year payment plan administered by a bankruptcy trustee through the court system. You must have consistent income to qualify for a Chapter 13 Bankruptcy. At the law firm of LEMMEN & LEMMEN PLC, we are committed to helping consumers get the fresh start they need through Chapter 7 Bankruptcy in Grand Rapids and the surrounding area. If you have made the decision to seek debt relief through bankruptcy, Chapter 7 is likely the most desirable form of bankruptcy for you to pursue because most people are allowed to keep their property without making new payments. Chapter 7 Bankruptcy, otherwise known as liquidation bankruptcy, typically lasts between three and five months before the debt is discharged. As soon as you file however, the creditor harassment and collections calls will stop. Our bankruptcy attorneys will answer all of your questions and make sure you understand all of your rights and obligations at every step of the process. In order to file for Chapter 7, you must pass the means test. Your monthly income for the past 6 months will be examined. If your income is too high, you may have to turn to a Chapter 13 debt repayment plan. Many of our clients are concerned about losing their assets during a Chapter 7 Bankruptcy. Specific laws called "Bankruptcy Exemptions" allow debtors to keep their property. By selecting the correct Bankruptcy Exemptions, our attorneys have helped most of our clients who have filed Chapter 7 Bankruptcy in Grand Rapids and West Michigan, keep all of their property including their home and vehicle. In Michigan, you have the option to use the federal bankruptcy exemptions, which are much more generous than the benefits in many states. However, in a situation where one spouse is legally responsible for the debt in question and you want to protect your home, it may be an advantage to use Michigan's bankruptcy exemptions. Our bankruptcy attorneys are knowledgeable and experienced, and can help you determine which route is best for your situation. Is Chapter 7 Bankruptcy right for you? For more answers to your questions, call us at 616-837-6221 to meet with one of our experienced bankruptcy attorneys in Grand Rapids or our Coopersville offices. Or, contact us online now to request a free initial consultation. In a Chapter 13 bankruptcy, a debtor enters into a court-order-repayment plan that binds his or her creditors to the terms of the plan. 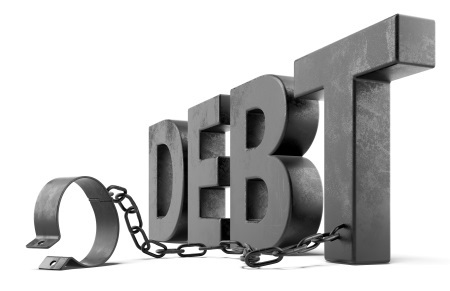 The debtor creates and proposes the repayment plan when he or she files for Chapter 13 bankruptcy protection. In general as long as the plan complies with the Federal Bankruptcy Laws, the bankruptcy judge will confirm the plan, which means the creditors will have to accept the terms of the debtor's proposed repayment plan. Debtors who have more income than the average household in their area may not be eligible for a Chapter 7 bankruptcy and will need to file a Chapter 13 to get bankruptcy relief. People who are behind on house payments can use a Chapter 13 bankruptcy to catch up on their back payments over the course of their repayment plan and avoid foreclosure. While legal fees typically need to be paid in advance prior to filing a Chapter 7 bankruptcy, legal fees can be paid overtime through the Chapter 13 repayment plan, even after the bankruptcy has been filed. Individuals or families who have assets that may have to be surrendered in a Chapter 7 bankruptcy can often protect and keep these assets with a Chapter 13 bankruptcy. For more answers to your questions about Chapter 13 bankruptcy, contact us today for a free initial consultation. For more answers to your questions about personal bankruptcy, contact our Michigan bankruptcy lawyers online for a free initial consultation, or call us today at (616) 837-6221.